Teaching emotions to kids can have a lot of benefits. My boys had fun with their LEGO emotions activities, so we created our own activity using balloons. The other day at church we had the kids stay in nursery while we had choir practice. There was a baby shower going on at the same time and when it was over they gave my boys some of the leftover balloons. Let me tell you, my boys love emojis ever since they got some plush ones in their kids’ meals. For a couple of days, I walked past these balloons trying to ignore them (truth be told, I am not a big fan of balloons…don’t ask me why because it’s irrational.). One of the balloons was missing part of the string, so my son decided to secure it between some LEGO bricks so it wouldn’t float away (clever kiddo) and he set it on the counter. As I was walking by this time, I saw a face. No, no. I did not actually see a face or think it was alive or anything, but it looked just like their plush emojis so I imagined a smiley face on the big, yellow balloon. Originally I had planned to just draw a bunch of silly faces, but I started examining the balloons all better and noticed that the primary colors are absolutely perfect for the main emotions: happy, sad, and angry. I then began drawing the faces onto the balloons. They may not look exactly like emojis on your phone, but I decided to go with something simple. You can always use paint markers or construction paper to make them look more detailed. I was going to draw different versions on the back, but decided to go with words instead…glad, sad, and mad. I stuck with the primary colors, since that is what we were given. I used the most popular emotions of happy, sad, and mad and had the kids identify which face showed which emotion. We then discussed which emotion we were feeling at the moment (it was unanimously “glad.”). These can also be used when kids are exerting other emotions that may need to be corrected (talk to them if they are mad or sad then move onto problem solving and see if you can come up with a solution together.). We discussed reasons why these emotions might be present–originally the blue did not have a string, so the boys said that is why he was sad. We talked about ways the balloon could be happy rather than sad and decided that we should give him a string too, like the others. E wanted me to change the sad face to a happy face; while we didn’t do that, since these are mylar balloons, they should hold up to having some tape attacked, if you decide to make construction paper faces to correct the moods after a solution is reached. This activity is great for expanding your child’s vocabulary. Pretty much all of these words have multiple different words that can be used in place of them. Happy is also glad, mad is also angry, etc.. Repeat the one your child is most familiar with, but share some other options. Don’t be afraid to use big words, too. Look in a thesaurus for more alternative words to teach. This Learning with Mini Mailboxes activity is another great way to teach reading and spelling. Notice that I chose all words that had the same endings: mad, sad, glad. I could have chosen sight words or words a little more challenging to read–E would have gotten them, but I decided to go with simple words that rhyme so we could see the visible differences and similarities in each word. Because S is learning his colors, I went a step further with this activity and had him tell me what each of the colors was. He is also learning to count, so I threw in counting how many balloons we had with him. There are several other basic activities you can add to this, but I’ll let you decide on those. My boys loved this balloon activity to teach emotions and it is very inexpensive to set up. Balloons and parties go together like peanut butter and jelly–check out this super cool Emoji Party idea from Life Over C’s. You can totally add these emoji balloons to the party and even make it into a party game. Getting pictures of my boys with balloons was a challenge. They were having too much fun goofing around. Enjoy these outtakes. This activity can be adapted for many ages. We used it with my kindergartner and toddler. Be sure to practice safety while using balloons and ribbon for activities, as they can both be choking hazards; please do not leave your children unsupervised and do not allow them to put the ribbons around themselves or the balloons in their mouths. I want to hear from you! Do you love emojis? What’s your favorite? Have you ever drawn on balloons? Share with me in the comments below. Know someone who could use this? Hit the “share” buttons below! 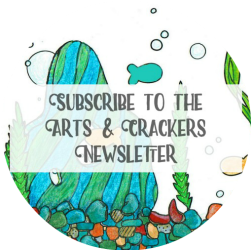 Be sure to follow Arts & Crackers on Facebook, Twitter, Pinterest, Instagram, or the others at the top right! activity, balloons, DIY, emotions, fun, kids, learning, Rainy Day Activities. Bookmark. My daughter loves emojis, so much so, that she has made her room and Emoji/Paris themed room. She loves to have emoji wars via text, and likes to use them to communicate too. She has emoji pillows, blankets, shirts and more! I never thought about using balloons like this and want to give a try to teach my son and daughter about teaching healthy emotions. What a great idea! I love this activity. Great idea using balloons to help teach. I never thought of this before. What a great way to communicate.